Episode #20 features Marine Corps veteran Jimmy Guevara; but what it REALLY features is a mirror for a lot of the vets I’ve met. A mirror that shows the struggle of trying to fit in to a world—whether it’d be a professional, educational, social, or any other society that you try to slip in to without understanding that you are not the same type of person that you once were. 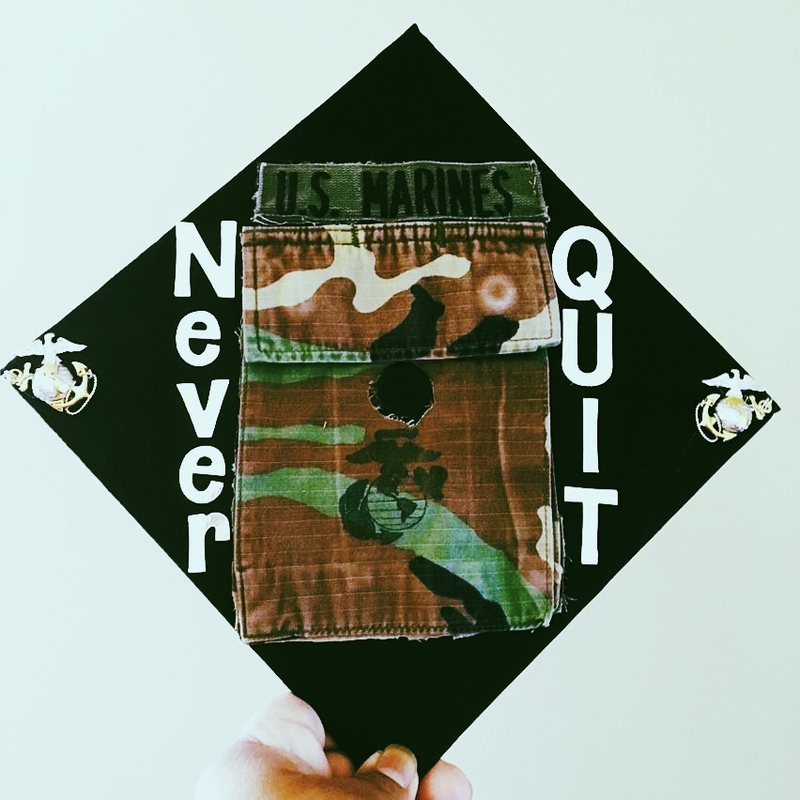 Jimmy shares his story (that turns into a two-part episode) about his journey into and through the Marine Corps. He shares very personal moments that, if you knew Jimmy… these moments he shares… really had to be pulled out over a period of time after having established a trust with him. But why I think they are important and urged him to share—is because I have a very similar story, and if I have that story… many other people do too! Stories like losing his grandfather who was murdered over political views, being in an abusive home, having alcoholic role models, joining ROTC because he had a feeling that he needed a stable structure. Stories like leaving the Marine Corps he loved so much, to take care of external obligations… for him, his mom. Stories that he has about himself from being a college dropout and what seemed to employers as “stubborn” and “insubordinate,” into an extremely relevant and trustworthy key player in the advocacy movement for the student veteran at two (going on three) colleges! But it’s not that he was stubborn or defiant, he is a Marine; A Marine that tried to assert a higher level of standard—one of quality vs. quantity—in the places he sought employment, which sometimes (as most of us have experienced) doesn’t fit well in a place that isn’t looking to let go of some of the qualities keeping them from being exceptional. Jimmy is a storyteller, so my intention was to give Jimmy the platform, and let him go! Jimmy throughout this conversation talks about his troubled high school career that was primarily a gap filler of time that was a hurdle between he and the Corps; he talks about his deployments and almost being a casualty to “friendly-fire,” and his short-yet-much-needed career in the Corps. We talk about legacy, and what it takes to rebuild oneself from the moments that seemed like failure. As a student veteran, Jimmy found himself creating a college that he wished he had the first time around. Not knowing anything about the red tape of most programs, or even programs in general, Jimmy found himself becoming knowledgeable on all the benefits available for the veterans in college and created a team to take care of all the veterans looking for financial aid, a place to stay, study help, VA benefit enrollment, and even found himself advocating for vets to have a safe haven where vets can come and be around people who wouldn’t judge us for our personalities that don’t quite fit in other groups around campus. Most importantly we talk about Jimmy’s Call to Action! Give Back! Stand up for your vets! I love this conversation because Jimmy is the epitome of “if there’s a will there’s a way…” From forging signatures to change his education programs in order to be able to go into the Marine Corps, dropping 75 lbs to become a Marine, and then realizing that just because you’ve failed once at something does not mean you’re a failure… only that the way you tried it before, wasn’t the way that works to see success! Jimmy’s last note… “The More Veteran’s we help, the more support we’re gonna get!